One of the most beautiful places on earth...both the valley, and the high country of the Sierra crest. I've been fortunate to be able to play there often. 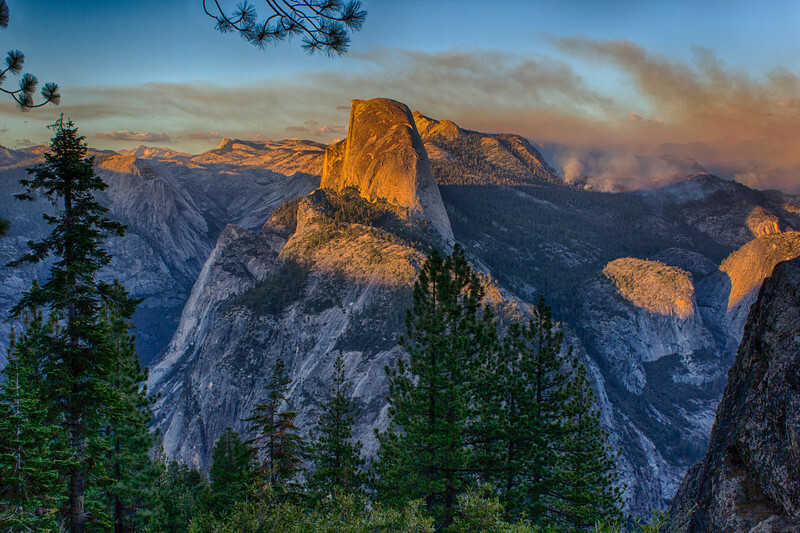 Half Dome catches the last rays of the day, as fires continue burning in the Little Yosemite Valley. By the end of the second day, the Meadow Fire was burning further to the east, into the high country. Overnight showers, and the brave work of fire crews and aircraft had knocked it down...but it still burned for weeks afterwards.